Partnering Up: Strategic Alliances - OWBN • Oceanside Women's Business Network • Parksville, B.C. Want to grow your business? Missing critical tools/abilities in a specific area? Well, you can learn/develop/purchase them for yourself. Or, you can partner up and find a buddy…. a strategic alliance. This energizing presentation will help you move your business to the next level with insights and advice about strategy, marketing and the latest small business trend: strategic alliances. Dawn McCooey, MA (Leadership & Training), CMC, is a Business Advisor with Women’s Enterprise Centre, and is based in our Victoria office. WEC is the leading business resource centre for women business owners across BC. Fueling the success of BC women entrepreneurs since 1995, WEC offers business loans, business skills training, mentoring, personalized business advice, practical resources and a supportive community. As a Business Advisor, Dawn works directly with women business owners to provide one-on-one complimentary business guidance. She reviews and provides feedback on business plans, evaluates loan applications, and provides support to current loan clients. 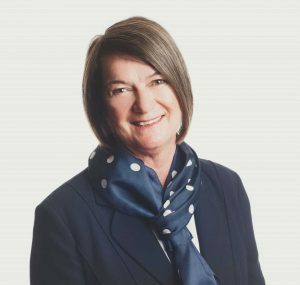 A Certified Management Consultant (CMC), Dawn completed a Master of Arts degree in Leadership and Training at Royal Roads University, and has worked with corporations, small businesses and government in organizational development and human resources management. As the owner of a career consulting company for over 18 years, Dawn managed up to 32 employees in three offices in Victoria and was voted “Best Boss in Victoria.” She is the author of the Amazon bestseller, Keeping Good Employees On Board. Dawn brings a positive energy to her clients and to all of the projects that she undertakes.